If you’re serious about that record collection, but tired of fiddling with your old turntable, this is what you want. 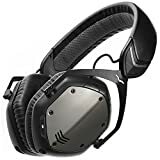 I own and regularly use Crossfade wireless headphones, and I’ve not had any reason to replace them in over two years. They sound great and work great. The latest iteration of the popular Angle speaker is just $20 right now. One of the best compact speakers you can buy is back down to just $25. This is the best price we’ve seen on this Amazon-made speaker. The reviews are very good considering this is just over $12. I like this speaker mostly because it looks like it could have fallen off the underside of a truck on the interstate… but with less dents, rust, and scratches. Don’t forget to use coupon code YKZJVCUV. Many reviewers prefer these to Airpods, and they’re sooo much less expensive. This is a great price on a true waterproof and shockproof speaker. Give your kids the freedom of controlling their audio without worrying about inappropriate song getting into the mix. Starting at just $26, these reviewer-favorite speakers are on sale today only. A pair of sweatproof Bluetooth headphones this good at this price is a no-brainer if you need a pair. Use promo code 582538KZ to get this top-notch waterproof speaker for just $21. Use promo code 5CMLRZHR to get a pair of airPod mimics that are surprisingly well reviewed for the price. Not only are these amazing sounding speakers on their own, pairing them together gives to an amazing full sound experience. If you have a need for serious audiophile sound, this Edifier deal of the day should be a consideration. One of Anker’s best portable speakers is currently the best value anywhere on a portable speaker. This top rated speaker boasts a lot of sound and one of the highest waterproof ratings at a great deal, today only. 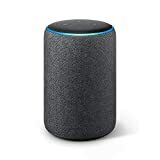 Amazon’s best sounding Echo speaker. Use promo code 6WOPWIAT to get one of the best rated bluetooth speakers on Amazon for just $16. Very nice little speaker for just $10. How could we possibly go wrong with an Anker Soundbar for just $68?!?! 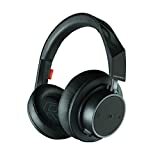 Inexpensive, yet great quality BT headphones from Plantronics. 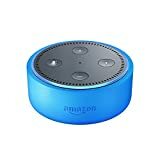 Give your kids the control, freedom, and fun of Alexa without worrying about explicit lyrics or other inappropriate content. This is easily one of the best soundbar deals we’ve ever seen.